Marcus Strickland (born 1979 in Gainesville, FL) is a jazz tenor and soprano saxophonist from Miami, FL who currently lives in New York. 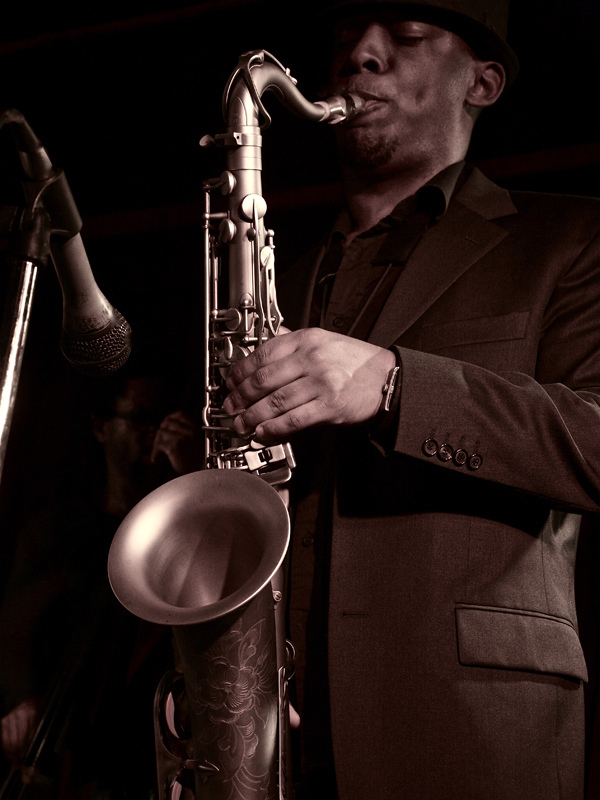 He was named "Rising Star, Soprano Saxophone" in Downbeat Magazine's Critic's Poll '08 and "Best New Artist" in JazzTimes Magazine's Reader's Poll '06; placed third in the 2002 Thelonious Monk International Jazz Saxophone Competition; has two releases on Fresh Sound New Talent Records as a leader ("At Last" and "Brotherhood"); one release on Criss Cross Records ("Of Song"); and three releases ("Twi-Life, Open Reel Deck & Idiosyncrasies") on his own music label Strick Muzik (launched in 2006). The aspiring saxophonist has been on two Grammy-nominated recordings ("Fountain of Youth" - Roy Haynes & "Keystone" - Dave Douglas). In addition to his own trio and quartet, Strickland currently plays with Dave Douglas, Jeff 'Tain' Watts, and Will Calhoun. He also recently ended a fiveyear stint with legendary drummer Roy Haynes. Strickland has gained professional & artistic integrity through experiences with Roy Haynes, Mos Def, Dave Douglas, Nicholas Payton, Jeff 'Tain' Watts, Christian McBride, Charles Tolliver Big Band, Tom Harrell, Will Calhoun, Lonnie Plaxico, The Carnegie Hall Big Band, The Mingus Band, the Village Vanguard Band, Milt Jackson Big Band, and The Lincoln Center Jazz Orchestra, just to name a few.